If you're flying to Sri Lanka you'll be landing in Colombo, on the island's west coast. It's a small city and often overlooked, but we always recommend a couple of days there if you can spare it. Powered by an obsessive love of cricket and excellent street food, the town has some good shopping and provides a nice introduction to the country. That said, Sri Lanka's west coast is better known for its beach resorts than its urban thrills; its shoreline is brimming with gorgeous sand and, further north, spectacular wilderness. Negombo is one of the main tourist attraction beaches in srilanka located on west coast, just 35 kilometers away from main city Colombo and 10 kms. From Katunayake International Airport .Negombo is the first and the last stop over point among the tourists because of close proximity to the airport . At ancient times Negombo involved to the foreign interventions and ruling hands mainly under Portuguese and Dutch's, still find their attributes remaining in high degree all over the city and beach side like Church's, Buildings, Street names etc. Negonbo beach is average wide beach in the stretch of west coast offers many activities for foreigners come to feel the sunshine with swim. Few rivers meet sea close to the negombo by offering interesting canoe trips and boat trips up to the rivers. Marawila is an exotic town located in the quiet north – west beach; 35km north of the national airport makes offers splendid investment opportunities. 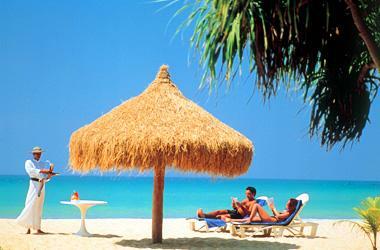 The north western coastal area in it serene tranquility offers beautiful picturesque beaches. Marawila integrated the lagoons and other features of its panorama in to its landscape to enhance value and supreme beauty. Its strategic location makes a one hour drive from the Bandaranaike International Airport and is within close proximity to the cultural triangle. Marawila is most sought after because of its lush ecological richness and welcoming ambience, brimmed with privacy of a sweet paradise! Placed between Emerald Puttalam lagoon and Indian Ocean with panoramic beaches are the Magical peninsula of Kalpitiya .Dolphins and kitesurfing are what bring people to the Kalpitiya peninsula. Schools of dolphins hundreds strong can often be seen jostling and playing in the offshore waters and boat safaris offer close-up views of these aquatic mammals. 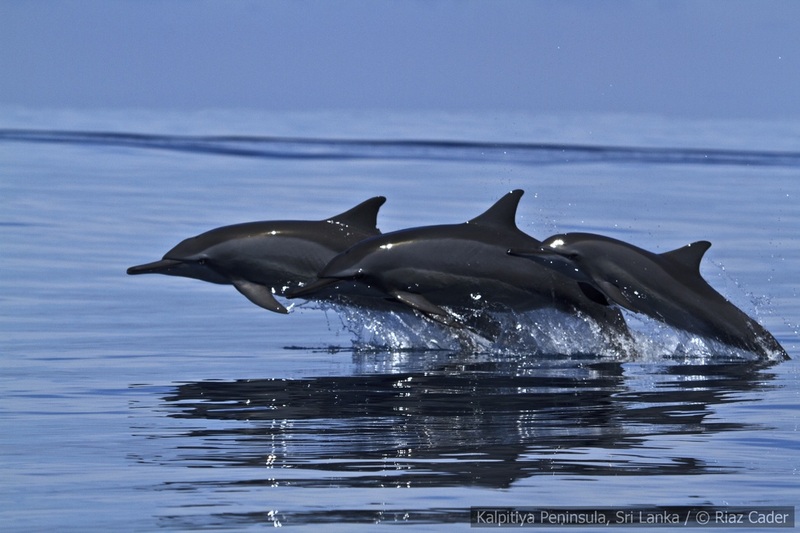 Meanwhile, for those who want to act like a dolphin dancing through the waves, Kalpitiya, with its near constant strong winds, is widely considered to have the best kitesurfing conditions in South Asia. Until recently, this was an intensely rural backwater that saw very few visitors. 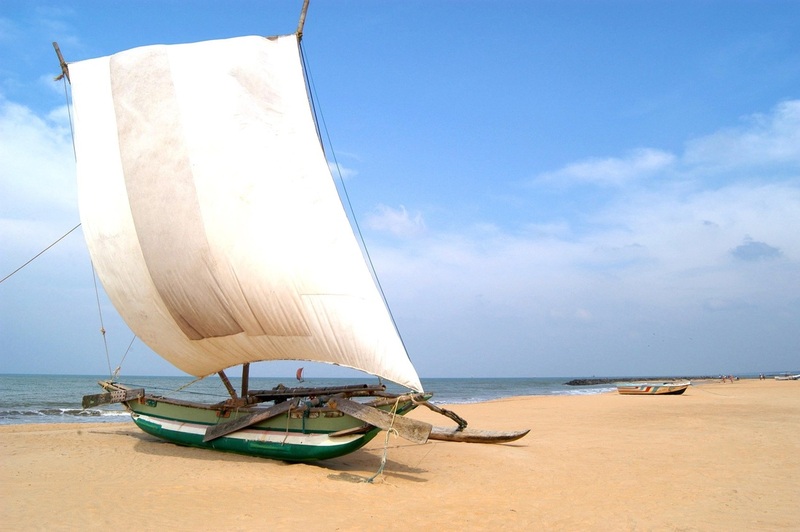 But it's not just thrill seekers and nature lovers who've discovered Kalpitiya. Beruwala Beach, known as “the Golden Mile” is one of the sandiest beaches in Sri Lanka, located 60km from Colombo, in Kalutara distrct and the southwest cost of Sri Lanka. Beruwela is located at about 75 km away from Sri Lanka’s international airport. Even though the center of Beruwela is a bustling town, the Beruwala Beach areas, one of the longest beaches in Sri Lanka and its surrounding is a quiet and tranquil. Due to its sunrises and memorable sunset, Beruwala Beach is famous among travelers. With plenty of bending trees over the golden sand, to enjoy water sport activities like diving, snorkeling and surfing, it’s paradise for each lovers. Since before, this beach is popular for having excellent water sport facilities such as water scooter rides, wind surfing, para-sailing and water skiing. A Sri Lankan coastal city famous for golden beaches, Bentota is situated on the southern coastal tip of the Galle District of the Southern Province. The town is a popular tourist attraction and also a favourite destination for water sports. It is especially famous among the foreign tourists. Bentota is a tropical lagoon and a major river Bentota offers water sports possibilities nowhere else to be found. Apart from swimming, body-surfing or diving in the sea, you can jet-ski, windsurf, parasail or enjoy a romantic river safari on the river and lagoon. Being one of the most established beach resorts in Sri Lanka, Bentota is known for its professional touristic infrastructure. Safe swimming conditions combined with fun water sport and exciting excursions are providing for the ideal background for a relaxed holiday in Sri Lanka. In the early 1960's Hikkaduwa started its change from a small fishing village into one of Sri Lanka's international holiday destination. Today backpackers, travelers and package tourist alike favor the beach party atmosphere of Hikkaduwa created by the surfing & diving scene. 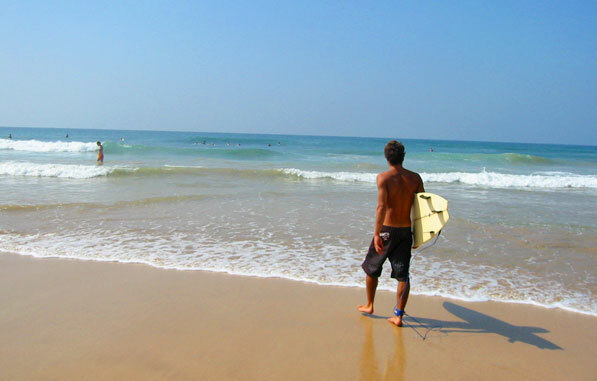 Beautiful white sand beaches, colorful coral reefs and an excellent surf are attracting people from all over the world.The surfing in the Hikkaduwa region is quite well known and gets the best surf during its dry season, November to March.Hikkaduwa by night means food, drink and dance. There is a wide choice of restaurants, offering excellent fresh seafood, lots of other travellers to meet and talk to, and menus that go far beyond rice and curry.